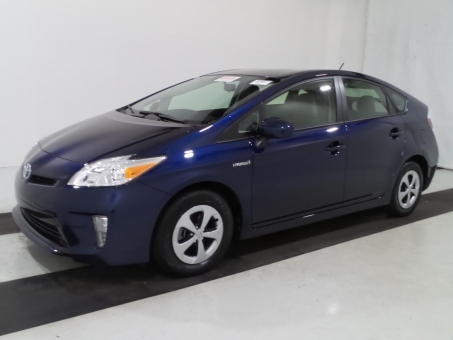 2015 Toyota PRIUS! Automatic Transmission! Clean CarFax! Only 10,866 Miles! At Trust Auto Mall you will discover the kind of service, quality used car inventory and value pricing that sets our used car trading site apart from other public online auto auctions. Our experienced finance team is committed to providing our customers with the best business conditions and the most advantageous car auction offers that will fit any needs regardless of the budget. We run numerous car auctions online as well as live auctions, classic car auctions, insurance auto auctions, government car auctions, police car auctions etc. Whether an auction veteran or just a beginner you are sure to like bidding on our cars with the transparent and simple Trust Auto Mall's bidding system. Find new cars, second hand autos, seized or confiscated like new vehicles and make great deals on our online car mall. Trustautomall is founded on trust, integrity, and respect. When you use our auto auction to put your cars for sale you trust us with your information. We do everything to protect your privacy and your data. We make your car sales easier and more prosperous.